Very soon, this book’s going to be filmed and Jennifer Lawrence will be starring in the main role. If you want to act all smart about it in the cinema, – here’s your chance. We present you the summary of Bad Blood by John Carreyrou. Who Should Read “Bad Blood”? And Why? Just like all of the best true stories out there, this one’s stranger than fiction as well; and it’s happening in the Silicon Valley, the place where future is manufactured. So, if you are an investor wanting to put some money in a start-up, please, do yourself a favor and read this summary; Silicon Valley is not all Google, Apple and Amazon. Also, read it if you’re working in a start-up and, especially, if that start-up is in the medical industry. To find out not only what can happen – but also what is improbable to happen. John Carreyrou is a renowned French-American investigative journalist with The Wall Street Journal. A graduate from Duke University with a B.A. in political science and government, Carreyrou joined The Wall Street Journal Europe at Brussels in 1999 and became the deputy bureau chief for Southern Europe just four years later. Afterwards, he moved to New York, where he was promoted several times until he became the chief of the health and science bureau of The Wall Street Journal. Carreyrou has shared two Pulitzer Prizes, one in 2003 for a series of articles exposing corporate scandals in America, and another in 2015 for “Medicare Unmasked,” a project which forced the government of the USA to release some important Medicare files kept out of the eye of the public for decades. However, Carreyrou made his name a year after his second Pulitzer Prize, when his investigation in Elizabeth Holmes’ Theranos uncovered that one of the most valuable companies in the Silicon Valley was a sham. 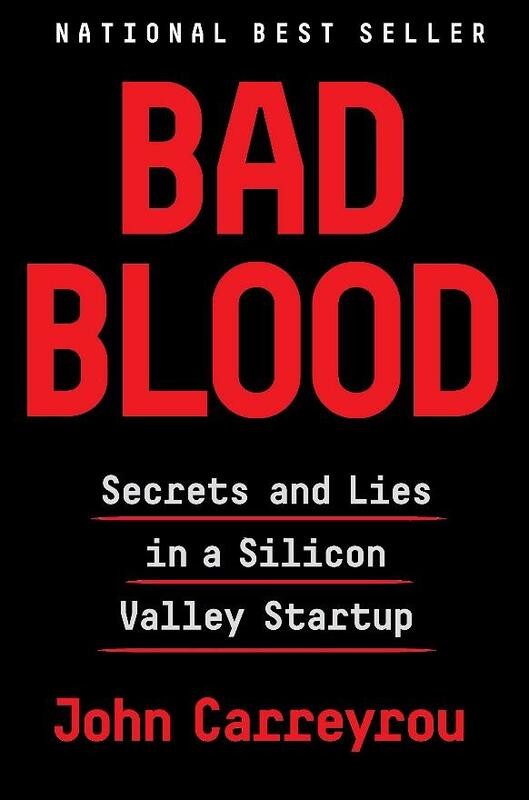 Published in May 2018, Bad Blood is based on these articles; the book won the Financial Times and McKinsey Business Book of the Year Award. No – this has nothing to do with Taylor Swift. Although the main protagonist is a charismatic, blond female wunderkind and millionaire born in the penultimate decade of the 20th century. And, just like a Taylor Swift romance, she is just too good to be true – until, suddenly, she isn’t. Her dream: to become the next Steve Jobs. Just like almost everyone alive, Elizabeth Holmes was pretty afraid of needles. She was barely 20 years old when she had a wonderful idea: to device a wearable patch which would do away with needles altogether! Comprised of numerous microneedles, the patch was supposed to be cheap and promised to make wonders in terms of blood testing and early diagnoses. It couldn’t be built: microneedles didn’t take the proper amount of blood for the blood tests to work. Even though many medical professionals told Holmes this before she even made a single step toward making this dream reality, she persisted. In 2004, she teamed up with Shaunak Roy – one of her peers at Stanford University – and she founded Theranos. The patient would prick her finger to draw a small sample of blood and place it in a cartridge that looked like a thick credit card. The cartridge would slot into a bigger machine called a reader. Pumps inside the reader would push the blood through tiny channels in the cartridge and into little wells coated with proteins known as antibodies. On its way to the wells, a filter would separate the blood’s solid elements, its red and white blood cells, from the plasma and let only the plasma through. When the plasma came into contact with the antibodies, a chemical reaction would produce a signal that would be ‘read’ by the reader and translated into a result. 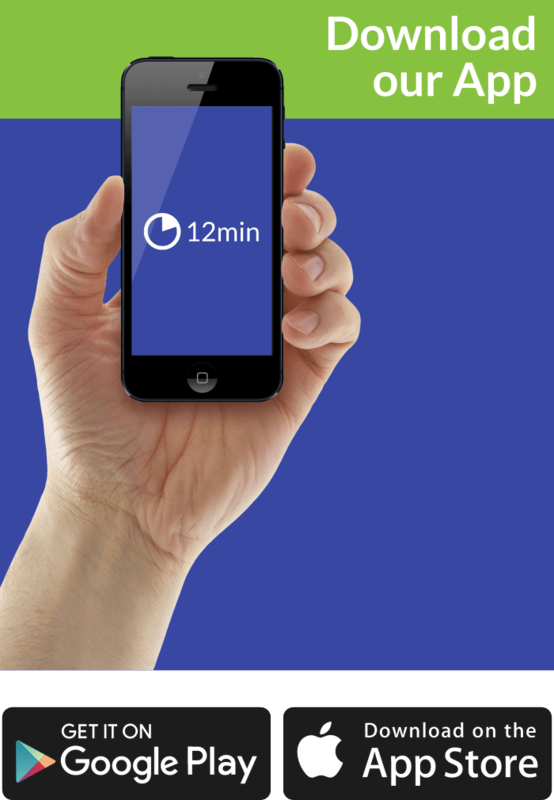 So, in a nutshell, a revolutionary device, one that could democratize healthcare. Holmes and Roy believed that this device – dubbed the Edison –could also perform tests for 240 different ailments – so, it was basically the next big thing. Now, who wouldn’t want to hop on that train? As you are already aware by now, neither this miracle credit-card-sized blood-testing machine was just that – a miracle. But in the bad sense; meaning: it was much more part of Elizabeth Holmes’ fantasies than it was part of reality. As it turned out, the blood sample the machine took was just too small to be used in more than a few tests, let alone 240! Timothy Hamill, vice chairman of the Department of Laboratory Medicine at the University of California, knew this beforehand, claiming that 240 separate tests on a single drop of blood would never be possible due to the nature not of the tests, but of the substance it tests: blood. However, nobody seemed to believe Hamill; on the other hand, everybody was more than happy to believe the endlessly charismatic wunderkind that was Elizabeth Holmes, by the way daughter of Christian Rasmus Holmes IV, one-time vice president of Enron. As far as Elizabeth Holmes was concerned, not being able to build the Edison wasn’t a problem: she was too busy enjoying her fame to be burdened by such minor setbacks. Also, she was too busy attracting investors – and they seem to be arriving at a world record pace. By 2014, helped by Oracle’s very own Larry Ellison, and the ad agency famous for collaborating with Jobs and Apple (TBWA\Chiat\Day), Theranos had already made a couple of lucrative deals and reached a value of almost $9 billion! By this time, Holmes was so confident of her product, that she started throwing away numbers and unsubstantiated claims by the minute. Like, for example, that the test results Edison prints in less than half an hour and that they cover not just 240, but as much as 800 different tests! Now, why did the investors buy this? The correct answer to that question would be “oh, boy where should we start?” followed by numerous excerpts from Bad Blood. • Because Elizabeth Holmes’ boyfriend, Ramesh “Sunny” Balwani, started filling the empty chairs with Indian workers, dependent on their work visas to stay in the USA. Since the Edison was touted as a success by so many people, one of Theranos’ lucrative deals was with none other than Walgreens. The second-largest pharmacy store chain in the US started offering in-store blood tests at more than 40 locations and even had some plans to expand these “wellness centers” when all hell broke loose. Theranos, Elizabeth Holmes and Sunny Balwani were all exposed to be liars and falsifiers, and the company went all but bankrupt in 2018. In addition, it was forced to repay $4.65 million to residents of Arizona, where more than million people used the Edison to test themselves. Nobody knows how many of them suffered because of the false results; it is widely speculated that many may have even died. The story of Elizabeth Holmes and Theranos is, more than anything, a cautionary tale for all of those people dreaming to become the next Steve Jobs (who, by the way, wasn’t exactly a nice person either). All her faults aside, it’s not like Elizabeth Holmes didn’t have a great idea, one which had all the writing upon it that it is capable of changing the world forever, democratizing medicine and saving countless of lives due to early diagnosis. However, a great idea doesn’t make for a great product and, whatever all those movies and self-help books are saying, sometimes it’s much better to give up. Especially when smart people are saying that your idea can’t be put into practice. Because, simply put, as great as they sound, some things are impossible. And yet, Holmes, emulating the stubbornness of her idol Steve Jobs, persevered. A sociopath is often described as someone with little or no conscience. I’ll leave it to the psychologists to decide whether Holmes fits the clinical profile, but there’s no question that her moral compass was badly askew. I’m fairly certain she didn’t initially set out to defraud investors and put patients in harm’s way when she dropped out of Stanford fifteen years ago. By all accounts, she had a vision that she genuinely believed in and threw herself into realizing. But in her all-consuming quest to be the second coming of Steve Jobs amid the gold rush of the ‘unicorn’ boom, there came a point when she stopped listening to sound advice and began to cut corners. Her ambition was voracious and it brooked no interference. If there was collateral damage on her way to riches and fame, so be it. Imagine yourself in the place of an investor offered by someone the opportunity of investing money in a potentially revolutionary invention such as a cheap, carriable blood-testing machine. Already more than familiar with those stories about people turning down the Beatles or the Queen and intelligent stockholders missing out on an opportunity to cash in on ideas such as the PC or Microsoft, it’d be only natural for you to think twice before opting out. The executives of Safeway – among many others – faced this quandary. They didn’t like Sunny and liked even less the fact that they didn’t get enough info. And yet they were still hesitant to walk away from the partnership. The thing is: it always is. The bottom line of Bad Blood is that Theranos is more than a single start-up. It is a symbol for many others doing exactly the same. Hyping your product to get funding while concealing your true progress and hoping that reality will eventually catch up to the hype continues to be tolerated in the tech industry. A national bestseller, Bad Blood was selected among the ten best books of 2018 by numerous publications, from The Wall Street Journal and Washington Post to TIME, NPR and The New York Times Review. The only thing it doesn’t have?